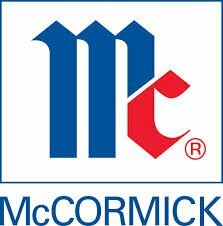 Weber Shandwick has been named digital agency of record for McCormick Canada, expanding the agency’s ongoing assignment beyond public relations to include digital and social media across English and French Canada. Weber has a history of working with the brand that spans the last eight years will various projects having been executed across North America for the Consumer Products and Corporate Communications divisions in the US, the new role draws on Weber Shandwick Canada’s expertise in digital, social and content marketing. Weber Shandwick Canada will lead an integrated campaign that includes content creation, website development, video production and social media strategy across McCormick’s extensive portfolio of brands, including Club House, McCormick Gourmet, Billy Bee, Cake Mate, Simply Asia, Thai Kitchen and the Flavour.ca and Saveur.ca websites. Weber Shandwick Canada and McCormick Canada have teamed up on several successful programs in 2015, including the integrated summer Grille Wisdom program celebrating the 25th Anniversary of the iconic Club House LaGrille line.